Mellette House was built by Arthur Calvin Mellette and his wife, Margaret Wylie Mellette, and four sons on Prospect Hill in Watertown, Dakota Territory about 1885. The house was constructed in the Italianate style which was popular in the period. Mellette House was constructed of bricks made in a local brick yard owned by Mellette and his friend and business partner, William McIntyre. 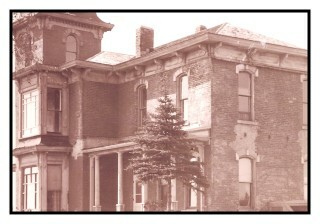 Mellette House as it looked when the Mellette family lived there. 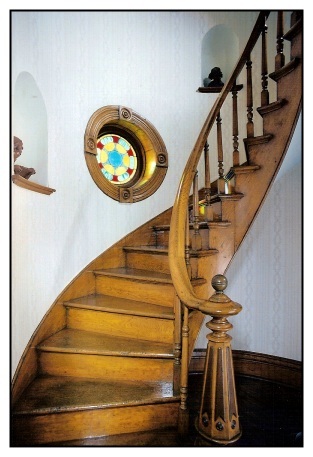 The most imposing feature of the house is a massive circular staircase which ascends from the ground floor through the second story and into a small tower room located on the third floor. The staircase is said to have been built in Minnesota and sent by train to Watertown for installation in the House. 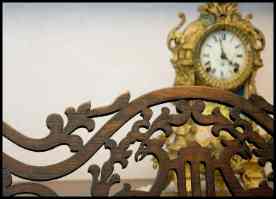 It is one of the House’s most beautiful and arresting features. Also on the first floor are a library/office, a magnificent double parlor, a dining room,, and a kitchen with pantry. After the Mellette family’s tenure in the House, a carriage house/garage was added to the property and that has been retained. Today it serves as a museum which houses Mellette family and early Watertown memorabilia. The House was a lively place when the Mellettes were in residence. The large double parlor, west parlor, and dining room were the site of many elegant parties and political gatherings . You can almost hear the voices and music of the time. 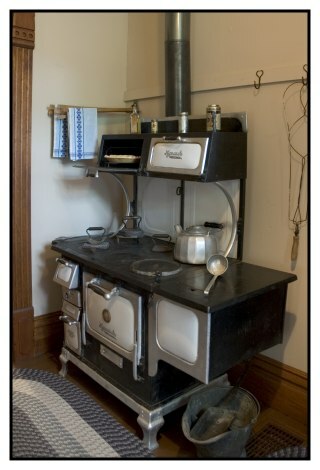 Mellette House kitchen stove. The second floor contains a sitting room, four bedrooms, and dressing room. The third floor tower room is a small room which provides an outstanding view of the surrounding countryside. It is primarily a reflection of the architectural style of the period rather than a truly usable room in the House. The back stairs lead to the pantry and kitchen. 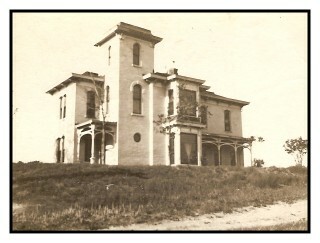 After the Mellette family left the house and Watertown in 1895 it served as a private residence for many years. In 1929 Watertown ’s first radio station found a home in the Mellette House. Eventually it was divided into an upstairs and downstairs apartment and then slid into a steady decline. In 1943 it was condemned by the Fire Department and slated for demolition. Mellette House before restoration began. The Mellette Memorial Association was then formed to save the House After much fund raising the property was purchased for $500.00. Work was immediately started to restore the house to its former glory. In 1953 Charles Mellette, the last surviving Mellette son, gave many of the original furnishings, personal papers, paintings, and even some of his parents' clothing to the Mellette Memorial Association. The House was opened to the public for tours. 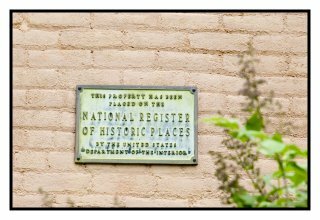 On August 13, 1976 it was placed on the National Register of Historic Places. The work of maintaining this historic house is ongoing. 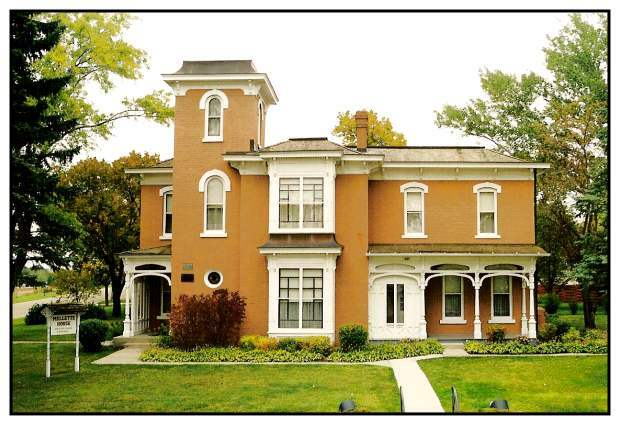 Today we invite you to tour the beautifully restored historic Mellette House, a Watertown and South Dakota treasure.